China is still the steamiest 'real steam' country in the world but things are changing rapidly and 2020 could see the end. Sandaoling and Shibanxi are still worth visiting for steam. I ran a January 2018 Winter Standard Gauge Tour and a China narrow gauge tour in April 2018. Details of these tours (now history) available as a pdf file - see right - along with reports from the recent China tours back to 2014. For earlier reports, please click on Reports above. Because we like Bosnia and because it still has a few real working industrial steam locos and can be afforded by a relatively small group - we'll be trying again for a tour in October 2018. Click here for the details. The dates are fixed and we have an estimated price. There are 6 places available this tour. Email me if you are interested. Given the limited real working steam remaining in Bosnia, this will likely be my last tour there. Still worth it if you haven't been before. 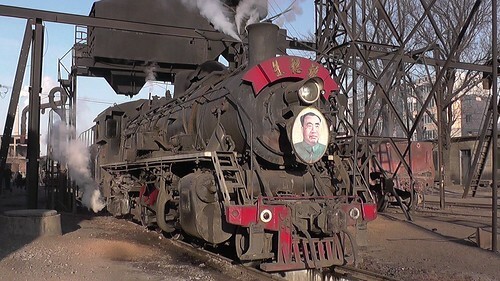 Feb-March 2016 China Real Steam tour - click here to read about it. This former Index page has become a page for Recent Tour Reports and may also include reports of personal visits over time. This tour is now completed. Next tour June - August 2019 expected. Contact me if interested. I wrote a day-by-day blog of this trip but only sent this out as an email to those who request it. The 20+ blogs are now available - click here. We visited all mills which still use steam locos as well as two where a charter was possible, all 6 mills which still had field work with diesels and all of the mills in the Probolinggo, Situbondo, Jember and Madiun areas. Click for the report of my industrial steam tour to China in March 2017. Click for details of my August 2017 Java Sugar Mill Tour. For historical reference only Tour now concluded. Winter Sandaoling-only Tour January 2018 - click to view the tour information as a pdf. For historical reference only. click to view the tour information as a pdf. There is now a photo page of tour members and local scenes. Click here to view. There is now a photo page of 2018 Sandaoling tour members and local scenes. Click here to view. April 2018 China Narrow Gauge Tour - Narrow gauge lines in Sichuan, Liaoning and Inner Mongolia with tourist, local passenger, coal, reed, salt and limestone trains in action. Steve Rogers has sent me a detailed report of the January 2018 Sandaoling trip - click this box to view.